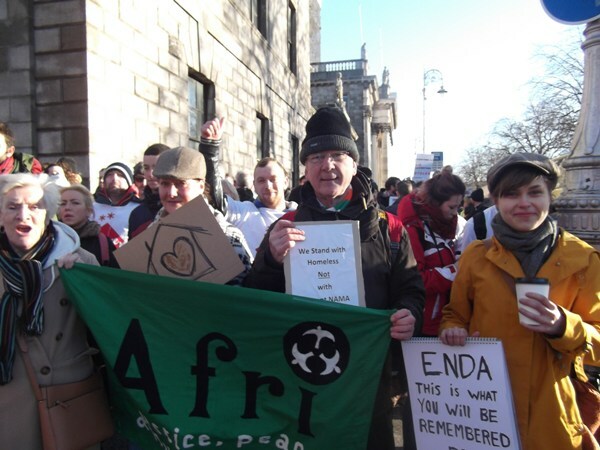 As an organisation promoting justice and equality at home and abroad, Afri supports the ‘Home Sweet Home’ group who have taken over the empty Apollo house in central Dublin, in order to provide accommodation for homeless people. This is a sensible, generous and effective response to the homelessness crisis, and it has caught the imagination and garnered the support of tens of thousands of people throughout Ireland. This action not only provides urgently needed accommodation for homeless people but it also shows up the scandal of policies pursued by successive governments, who have created this crisis by not providing sufficient social housing and by instead pandering to ‘developers’ and big business interests. It also demonstrates the scandalous behaviour of NAMA, which has intensified the effects of the economic crash by selling properties to vulture funds instead of fulfilling the basic needs of people for housing and shelter. People have grown weary of the hand-wringing about the issue of homelessness, often by those whose policies brought it about, and are invigorated by the sight of people taking practical action to address the crisis.